An Open Seminar focusing on the challenges of maintaining human factors under the most extreme circumstances will take place at QEHB on Friday 6th March. The seminar, “Human Factors in Extremis: Capturing the lessons of the frontline”, is being organised by the Clinical Human Factors Group (CHFG), the National Institute for Health Research Surgical Reconstruction and Microbiology Research Centre (NIHR SRMRC) and the Royal Centre for Defence Medicine. An introduction by Lt Col Suren Arul on human factors and the military will be followed by presentations from a number of key military and civilian medical personnel plus an insight into managing risk when there is no alternative to flying into danger from a military pilot. The varied programme includes a talk on leadership or followership by NIHR SRMRC Deputy Director and Professor Surgeon Captain Mark Midwinter, CBE, human factors in Aleppo by David Nott, MSF and Red Cross surgeon and a closing speech on human factors and the NHS by Sir Bruce Keogh. 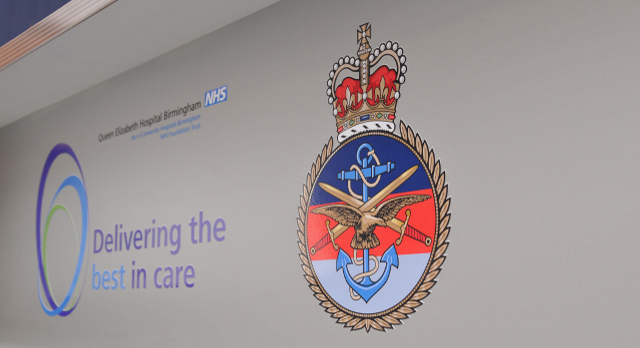 Lt Col Arul said: “The last decade has seen unprecedented improvements in the management of battlefield trauma. “A major reason for this has been the attention to communication, followership, simulation and team training so that professionals can continue to perform under the most austere of environments.